Install Terraria on your work Mac and never achieve anything for your employers ever again. Not actual life advice. Terraria has produced Linux and Mac clients, something non-Windows users have been clamouring for. Cross-buy is enabled, so there’s no need to buy another client; just download directly from Steam. Because the Re-Logic team is made up of Good Sorts, the new clients come with full SteamPlay support, meaning you can bring your PC progress with you, and switch back and forth between clients as necessary. No joy on that front for consoles and mobile, alas. If you’d like to see the system requirements, grab some dedicated server software, or check for known issues and work around, please visit the Terraria forums. 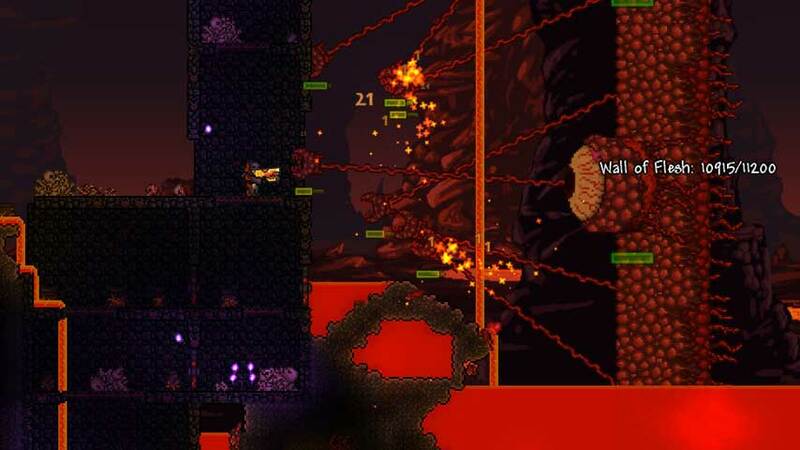 Terraria was recently updated to version 1.3, adding a ton of new features to the 2D sandbox. Re-Logic has said it intends to continue supporting the game for quite some time, and has not yet begun work on the sequel. An RPG spin-off called Terraria: Otherworld is in the works at partner Engine Software, though.